Birthday card for Bill’s Mom. My latest addition to A Crazy World is the leaning tower of Pisa. First I drew the tower on grey cotton fabric with a black Pigma pen. 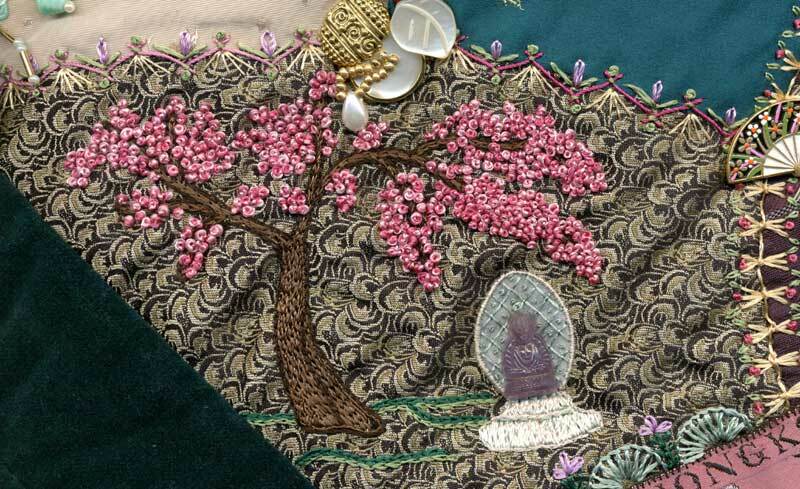 Then I cut out the tower and appliqued to crazy quilt background. The tower is 3 1/2 inches tall. Next on the world tour I will be adding a Dutch windmill. Just need to refine the sketch and size to fit on world background. 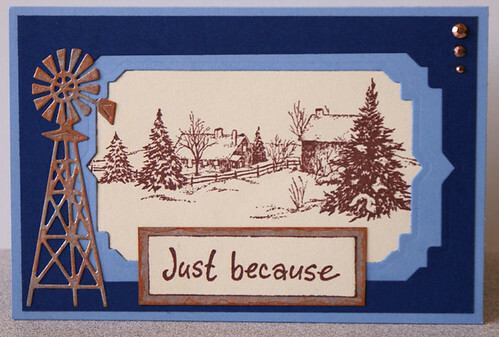 Serendipity Stamps – Winter Farm and Just Because,large. I covered kraft cardstock with silver Sharpie and then daubed Tim Holtz Antique Bronze distress stain over windmill and sentiment background then dabbed with tissue to remove excess. It gave them a rustic, rusty look. I added a sentiment to the card I posted last time. Now I’m happier with it. 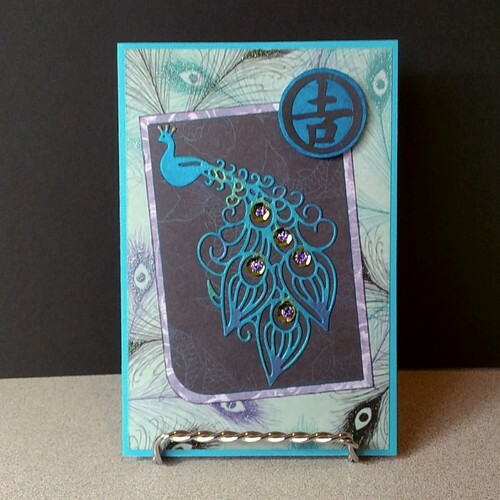 Playing with my new stamp, Impression Obsession’s – Thistle Garden. I love thistles, so was surprised that I hadn’t seen this stamp before. First, the stamped image that I colored with markers. Then the finished card. Finished card. 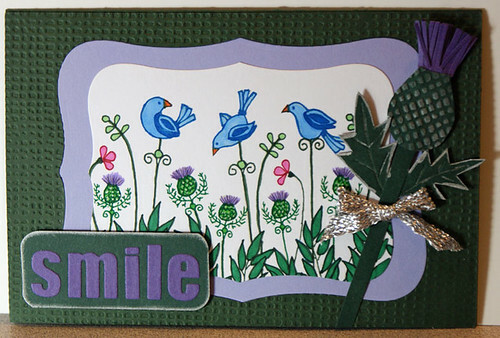 Used both emboss and de-boss of Spellbinders “Horsehair” embossing folder for the card background and the large thistle.